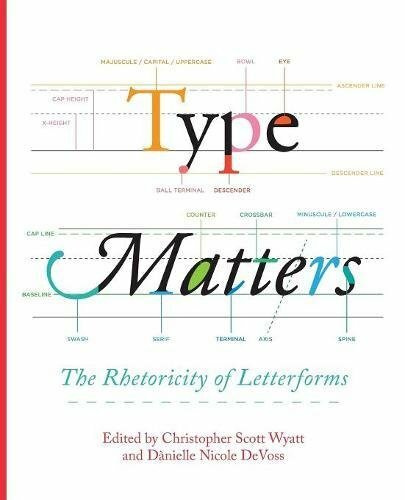 Stephen Bernhardt warned almost thirty years ago that our “preoccupation with conventional essay format” excludes the rhetorical rigor of typographic elements. John Trimbur extended this argument, noting that “one of the main obstacles to seeing the materiality of writing has been the essayist tradition and its notion of a transparent text.” Visual rhetoric scholars have interrogated the ways in which meaning-making happens iconographically, photographically, and via other visual means. Type Matters now focuses on the visual, rhetorical work of typography. The text is presented in full color on white, 70# paper. If you have any questions about this product by Parlor Press, contact us by completing and submitting the form below. If you are looking for a specif part number, please include it with your message.